Have you seen Zanze and LPD on our new sim yet? One of the beautiful items you can buy on the Gypset Market is this lovely short dress in white with pink details on it. This dress, called Furiru/Frill is a creation of Cat Sahara, owner of the shop Kawaii Dolls. A brand new shop with a lot of female mesh clothes. 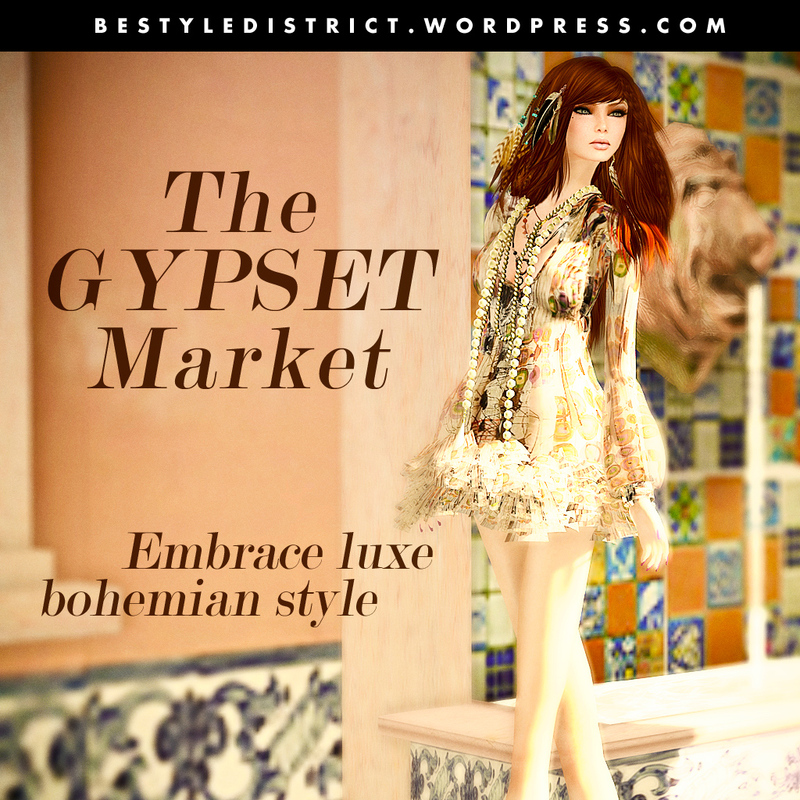 Just take the taxi below and visit the Gypset Market, which is completely restyled. The Dora dress that i am wearing today is from Sascha’s Design, available at the The Gypset Market. Even when the autumn is coming, the dress is perfect to style it in many ways. On the Gypset Market at The best of Italian sim you will find unique and exclusive creations by some of the best designers of Second Life. Besure that you are in the BeStyle Magazine Readers group because only then you can by the items. This month both gypset markets will be at one location, next month they will be splitted up and be on two different locations. If Found…Please Return Kiana To Drift! I am such a lover of Tiffanys and Audrey Hepburn! Sooo when Kalli (Kallisto Destiny), Drift Designer and one of my fav people, dropped the Posh Dress on me in “Tiffany Blue”, I was such a happy fashionista! The Posh dress has the most amazing raw silk texture that just looks lush. Subtle but oh soooo fun & flirty…And a hud with several lovely colors to choose from! Absolutely Stunning, Kalli! Special thanks to my hubby, Cruz Quinnell for taking an epic pic! XxOo. Glasses: Glam Affair: 50’s EyeGlasses-NEW!!! Gizza is ready for the autumn to come and has created a few stylish new releases wich are a part of the Gizza Autumn collection. The Rich outfit is a combination of the new vintage leather jacket with the cargo pants incl the awesome Lisha boots. All are also sold seperately so you can mix them with just anything for many occassions. Pose: KaTink Poses & More: Mystery-NEW!! !